Brand X PR uses a mix of tailored communications and rigorous strategy to help clients reach and influence their target audiences. Our unique content-led approach is delivered by senior specialists in all of the communications disciplines – public relations, analyst relations, content marketing, digital and social media, and direct marketing. Our approach brings together experts in their field from across the marketing and communications industries – with content at the core. We combine all elements of the marketing and communications mix working together under a single strategy and a single set of business objectives to deliver better results. Our robust management process offers clients an increased level of control. By regularly reviewing and evaluating the effectiveness of all aspects of the programme, we maximize the impact and drive return on investment for our clients. Underpinning the communications strategy, PR is about far more than traditional media relations. Influencing and owning the conversation you want to have with your target audiences is increasingly hard in today’s crowded media and digital landscape. Whether you’re looking to speak directly to that audience or influence them via credible third parties, such as journalists, you will need a guide. Quality, relevant content, always created with a specific audience and destination in mind. Never developed as a ‘vanity’ project, just for the company’s website, all content we produce will be used across multiple channels. Presenting effectively to an external audience – whether that’s to customers, peers at a conference or to journalists – is a key element of PR. We train clients to enjoy public speaking; ironing out tics, boosting confidence, owning the stage and training their voices. We’ve come a long way since the days of mass market mailers and personalized marketing is now the norm. However, what was true then is still true today. Relevant and timely communications will always have greater success. Of course, it doesn’t hurt if the idea is clever. 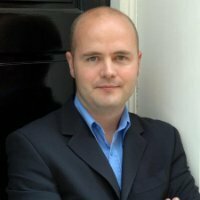 Phil Dwyer is a public relations consultant with almost 20 years’ experience and has worked with many of the major names in telecoms and IT such as BT, IBM and Xerox, as well as work with public sector organisations and charities including the Family Online Safety Institute (FOSI). His expertise spans both pan-European and UK-specific roles. 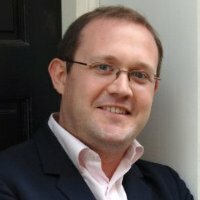 Phil was formerly the in-house communications manager for Motorola’s infrastructure division in EMEA, responsible for developing and implementing PR strategy around high speed mobile internet and new applications. 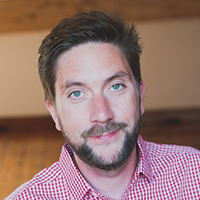 Chris Holder has more than a decade of experience in developing and delivering communications programmes for clients from start-ups through to international blue-chip companies, as well as writing for a range of trade titles. He has also worked in-house, heading the PR and communications programmes for BT Business and BT Conferencing, as well as managing analyst relations across BT’s retail division. Before co-founding Brand X, Chris led the BT agency account, developing campaigns including ‘Do what you do best’ and Small Business Week, and driving local awareness of CSR and environmental issues. Chris is also a mentor for start-ups under the DigitalCity Innovate initiative on Teesside. 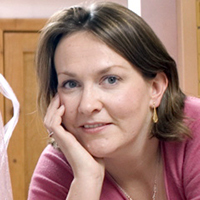 Lucy is an experienced PR, writer and presenter. She has run PR programmes for a wide range of brands and charities, and has written for both national and trade press titles include The Times and The Guardian, as well as appearing on national radio and television. As well as being a lead writer, she also handles training and presentation for Brand X, helping people overcome the challenges they face with public speaking, whether it’s a presentation or a keynote speech. She also presents a popular podcast on The Archers and writes comedy for Radio 4. Chris has over 15 years’ communications experience and specialises in working with innovative technology businesses - both small and large. He works as both a coach and consultant advising on content marketing, brand strategy, PR and crisis communications. He has a strong track record of working with disruptive tech startups in the health, social and media sectors and has most recently been advising tech accelerator UP and UnLtd’s Big Venture Challenge. He is a regular contributor to The Next Web, The Huffington Post, The Guardian and Life Hacker and is the co-founder of Prolifiko, a tech startup focused on writing productivity. Brand X clients span a range of sectors, including technology, financial and professional services, and not-for-profit. We’re immensely proud of the work we’ve done for these organisations and believe that what they think says more about Brand X than we ever could. Working with Brand X has turned around our PR efforts in the Middle East – from developing a clear strategy to managing the agencies on the ground, the team has helped drive media opportunities and dramatically increased the levels of coverage in the region. I put all your recommendations into practise and people liked the presentation. They were all listening, taking pictures, telling us that it was great. I enjoyed it very much; I feel like I can do anything now. Brand X has a terrific grasp of the media and players in our space, which has been invaluable to us as we’ve grown our presence in Europe. Not only has the team secured a range of broadcast, online and print media opportunities, they always go the extra mile to ensure they are up to speed with what we’re doing and supporting us wherever necessary. We chose Brand X PR to help us launch ParceLive into the market and create some customer demand for our new product among parcel carriers and retailers. By clearly understanding our goals and carefully targeting the best media and channels, Brand X got the message to the right people quickly and we were bowled over by the response from the campaign. As a result, we were inundated with enquiries and had a full order book in no time.